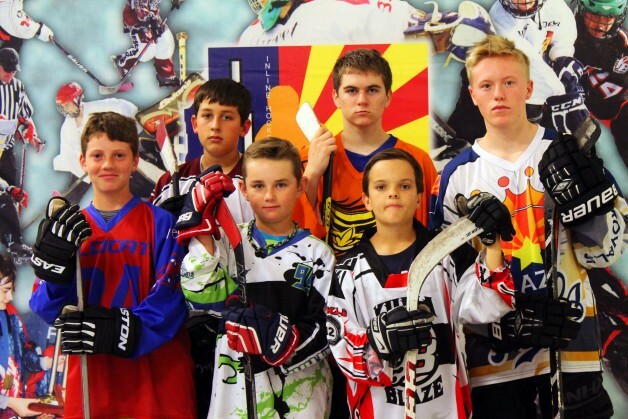 When a group of potential players and their families were invited to watch the Inline Hockey Association of Arizona (IHAAZ) state finals, their interest in playing the sport was peaked immediately. The growth of the sport is unmistakable, especially in the lower-age divisions of the league. Between 2009 and 2015, the number of 8U teams never went above four. Last season, seven teams competed in the division. Between 2009 and 2015, the most teams combined in the 8U and 10U divisions was eight. A total of 12 competed last year. Also, in 2016, the number of first-time players in both the 8U and 10U divisions combined that played in IHAAZ festivals who had never played any tournament hockey previously was 51. The percentage of players who had never played in hockey tournaments, compared to those who had played before was 62 percent – higher than what has ever been recorded previously in the league’s 17-year history. Coaching is a key factor to the growth as well. Erik Dahl, the director for the Jr. Wildcats in Tucson, agrees the experience coaches bring to the table is big. He said the fact that players are starting to play the game at a younger age makes a difference as well. Dahl also notes the siblings of those players take notice and want to get involved. Just how good is the talent in IHAAZ, particularly in the lower-age divisions? Look no further than the success IHAAZ players enjoyed earlier this summer at the NARCh West Coast Finals in Huntington Beach. Thirteen teams from the Konixx Outcasts, Arizona’s longest-running inline travel team program, went out to California to compete, along with a 10U all-star team coached by Proud and Wes Parker that won a title. A 6U team competed at NARCh as well. Jans said the opportunity for those players sets the stage for future success. And it’s great for the growth of the lower-age divisions.